Even if you have enabled both database moderation and Captcha on your form you can't be sure that your data will always be valid, because spammers always can add bad entries to it. So you may need another way to block them. That is why we added the IP ban feature. Please, notice that at the left side of each record you have Edit and View link. 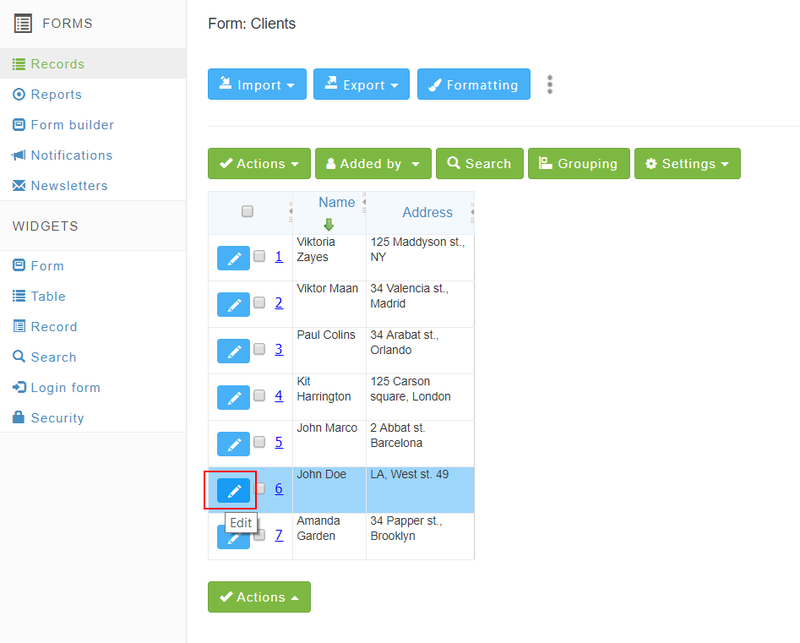 Click on it and you can see IP of every user who entered the data of your data base. Also below this IP you have a Ban this IP link. Click on it and this user will not be able to fill your form any more. Of course you may want to unban some users, because some of them can be banned by mistake or maybe they have changed their behaviour for the better :) In the same View or Edit form you should see All banned IP's link. Also you can find it in the Security menu. Click on it and you will see the list of all IP's blocked in your application. 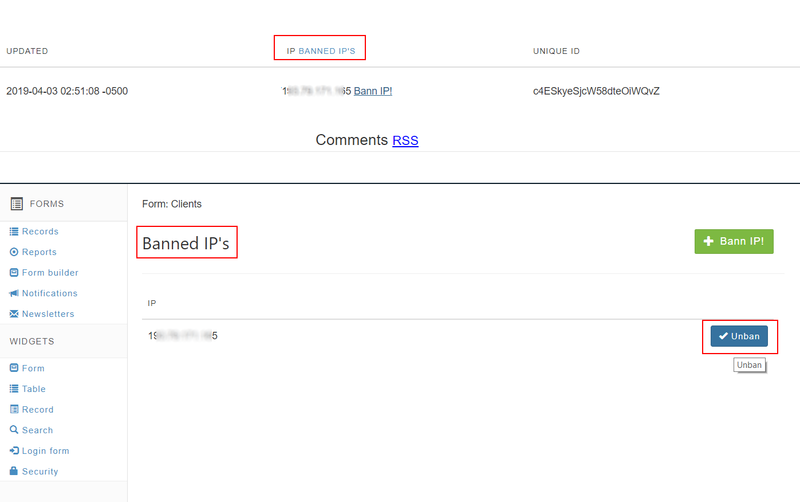 Near each of IP you can see the Unban IP link. Use it if you want to unblock this user again. You can also manually enter IP to banned IP's list . Protecting web forms with the help of Captcha is another great way to validate users' input. Make sure you choose right security options for your database application!